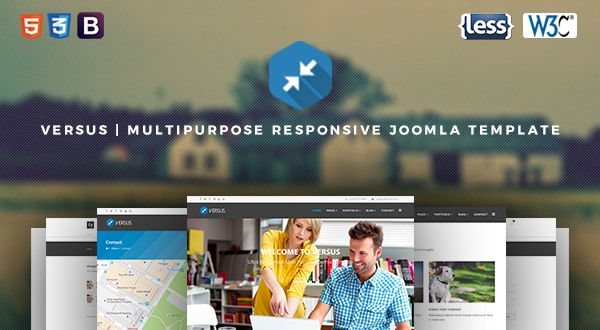 Versus is a multi-purpose Responsive Joomla template with user-friendly, modern, highly customizable and easy to integrate solution to build your custom Joomla 3.x website. The portfolio variation lets you make a grid-style collection of your amazing works. If you were planning a full-featured blog site, Versus also covers this. The template offers several ways to organize, decorate and present your blog site. Versus build with responsive design, meaning your new site will adapt to fit any screen size, from desktops down to mobile phones. All pages and features have been optimized to work on every device. Page Builder – Number #1 Page Builder for Joomla CMS. A simple to use page builder that help you build a complex Joomla layout in a few minutes without coding knowledge. Surprise your clients – use the best for your website! Page Builder Integration – Versus is deeply integrated with Page Builder. Now ProBusiness can automatically detect the Page builder page then it removes container from the layout to use a full width layout.